With so many people experiencing really cold winters, I thought it would be a great idea to think about looking forward to spring this week. Welcome to the Hearth and Soul Link Party! At Hearth and Soul, blog posts old and new, about anything that feeds the soul, are welcome. 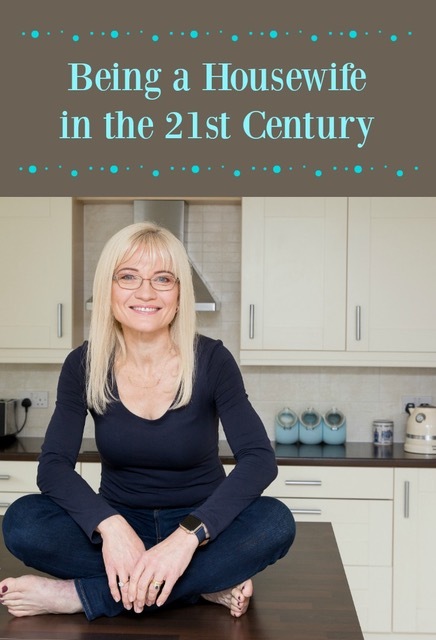 This includes – but is not limited to – family, home, recipes, decorating, crafts, DIY, travel, organisation, book reviews, the arts and self improvement. With all the damp weather we’ve been having, I’m definitely looking forward to spring. 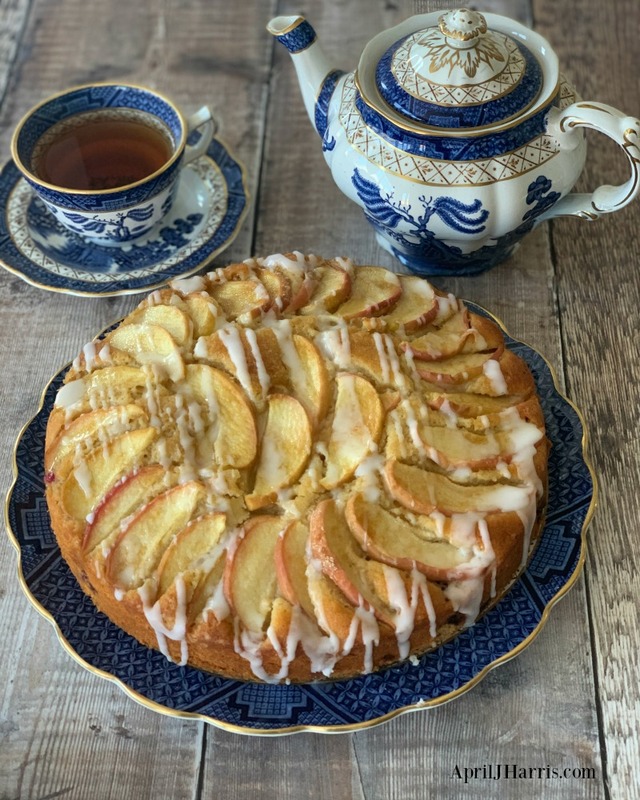 This easy to make Blackberry Apple Cake is the perfect thing to brighten up afternoon tea on a rainy day. Looking for a special dessert for Valentine’s? 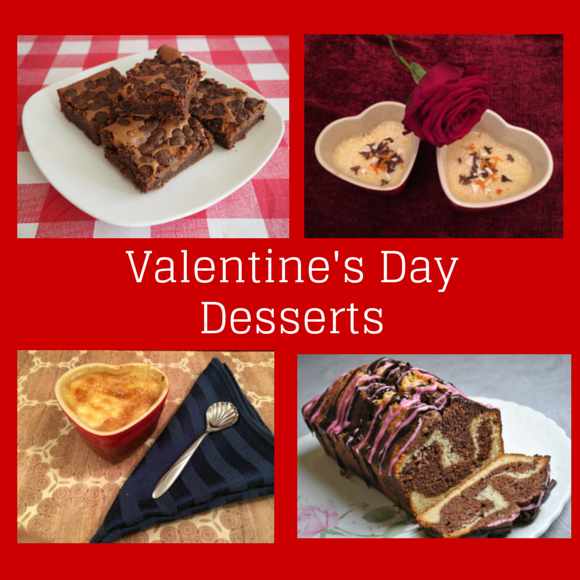 These Valentine’s Day Desserts are sure to please your special someone, or help make for a wonderful family celebration. 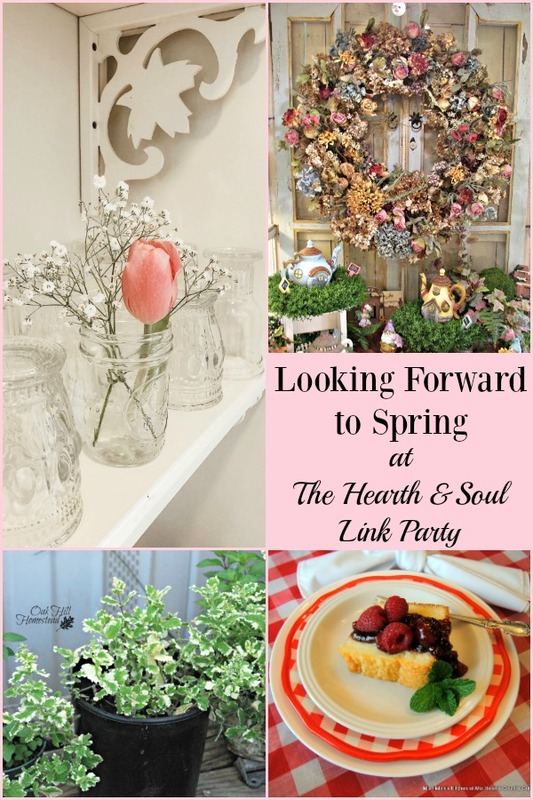 Thank you so much for visiting and sharing with the Hearth and Soul Link Party! Please keep the party going by commenting on or sharing some of the other posts, and connecting with other bloggers. Share your blog posts about anything that feeds your soul. Please link to directly to blog post URLs. There is no obligation, but I love it when you share the party on social media or provide a link back to AprilJHarris.com. There are buttons at the top and bottom of this blog post to make sharing easy. Let’s make this week amazing! Thank you for hosting another great hop, April, and for featuring my post on container gardening! You are so welcome, Kathi! I hope you have a lovely week! I do admire how you come up with relevant, engaging themes for the party each week! Happy spring to you, April. I am so looking forward to spring, just when I thought we’d have an early spring we got snow! Very unusually for this part of the country! Thanks for hosting April, have a Happy Valentine’s Day! Thanks so much for the great feature for my Vintage Sour Cream Pound Cake With Raspberry Sauce, what a lovely surprise to be featured with so many great blogs.Hope you have a very special Valentine Week and thanks so much for the party! April, your cakes always look so wonderful, and this is truly exceptional! Im going to pin the recipe to amke it for my bookclub meeting. Thanks for hosting every week. What a lovely compliment, Pat! Thank you so much 🙂 I hope your bookclub enjoy the cake. Please do let me know, and if you would like to, I’d love for you to share a photo on my Facebook page. Hi April, I was so excited when I saw my post included in your features this week…….thank you! Have a wonderful week ahead…..hugs…. I’m so pleased, Penny! I always enjoy your beautiful posts. I hope your week is wonderful too! Wishing you lots of blessings in the week ahead too, Marilyn! That cake looks so yummy. Very nice. Thanks for hosting and I hope that you have a wonderful week. Hi April! I can’t wait to make your BlackBerry Apple Cake! It looks delicious and I am so fond of blackberries! Thank you for hosting the party and have a nice Valentine’s Day! Thank you so much, Helen! Please do let me know what you think of the recipe, and I’d love for you to post a photo of your cake on my Facebook page if you get a chance 🙂 I hope your Valentine’s Day is lovely too! I’m not brave enough to risk thinking about spring yet. Big storm in the forecast this evening, and we’re in single digit temps! I hope the storm isn’t too fierce, Michele, and that it warms up a bit soon! Hello April, it’s been a while since I’ve been here but so glad I could share my crocheted fingerless gloves and a crock pot chili recipe. Yes I too and looking forward to spring. I hope you have a nice week and a Happy Valentine’s Day. Hi Julie! It’s lovely to ‘see’ you 🙂 Thank you for visiting and sharing. I hope your week is lovely too. Happy Valentine’s Day! Your cake looks amazing, I would love a slice, please. It is only obvious that you have a love of baking, do you do so much baking that you make things to giveaway? Because I love to bake but we cant eat it all so I am always giving away loaves of bread, plates of cookies. My husband will love one recipe and askes, why dont you use the last recipe, I say, “because I have to try new ones to share”, wink. Hope you have a great week! Happy Valentines!! Thank you, Karren! I do give away a lot of baking, that is for sure 🙂 My husband will often take things into work. It helps me when I’m recipe testing as I have lots of testers! And my husband does the same thing, asking for older recipes 🙂 I hope you have a great week too. Happy Valentines to you and your husband! Such a beautiful looking apple cake April. Thanks for the party. Lots of interesting recipes to explore. Have a great week. Thank you so much, Judee! I hope you have a lovely week too. Your Blackberry Apple cake looks divine!! I just adore blackberries in anything. Thank you so much for sharing and hosting. Have a great week! Thank you so much! I hope your week is wonderful too! April, can’t wait to check out your St Clements Custards! I’m celebrating my 9th Blogiversary today with Cherry Swirl Cheesecake. Thank you, Jean! Happy Blogiversary! I’m on my way over to your blog now for a visit. Happy Valentine’s Day too! I am looking forward to trying your last few recipes (today’s Blackberry Apple Cake and your Caramel Croissant Pudding) – both look amazing! CONGRATS – I’m also excited to share that you are our Featured Blogger and Friend of the Week at Create With Joy! Thank you so much, Ramona! You have absolutely made my week. I am thrilled with the feature, and by your very kind words! I so appreciate your support and friendship. It means the world to me. Happy Valentine’s Day to you too! Wishing you a wonderful week!